This research project investigated the impact of popular culture on conceptions of Nation and national identity in 21st century Mexico. In his seminal book Transforming Modernity: Popular Culture in Mexico (1993), Argentinean anthropologist Néstor García Canclini argues strongly for popular culture “as an instrument of understanding, reproducing, and transforming the social system in order to elaborate and construct class hegemony and to reflect the unequal appropriation and distribution of cultural capital.” Following García Canclini’s interpretation of popular culture, we studied popular culture texts produced in Mexico in the past decade and compared them with State-produced representations of “mexicanidad” (“Mexicanness”). Mexicanidad is built around the mestizo. Within this framework, three archetypal roles available to Mexican women include la madre, la virgen, y la puta. 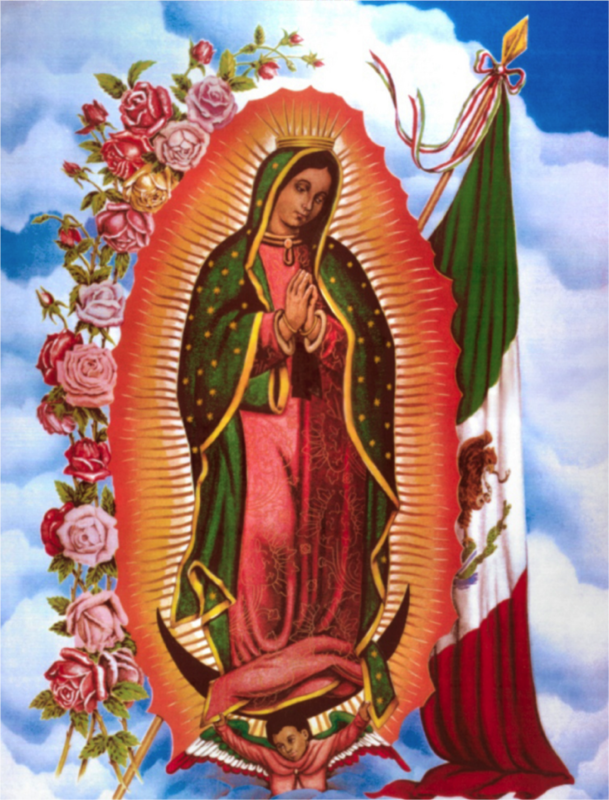 La Madre de Mexico, La Virgen de Guadalupe emerged as a symbol of national pride and heritage within these broad conceptions of womanhood and citizenship in Mexico. This religious figure has become a multifaceted icon that albeit retains its religious clout has simultaneously escaped the cultural and solely celestial boundaries. This visual syncretism was used during the systematic secularization of public institutions since the revolution and is now a globally fetishized symbol. How did this cult come to be? How was this symbol redefined, accepted or rejected during the revolution? How did this icon and identity spread to the US through immigration? Jesús Malverde was a social bandit during the Porfiriato, who stole from the rich and gave to the poor. He was heavily persecuted by authorities. Once captured and executed, the authorities disposed of his body without proper burial. After this incident, a narrative was constructed. The myth details a peasant finding the bandit’s body and burying it. In return Malverde’s spirit bestowed a miracle on the peasant. 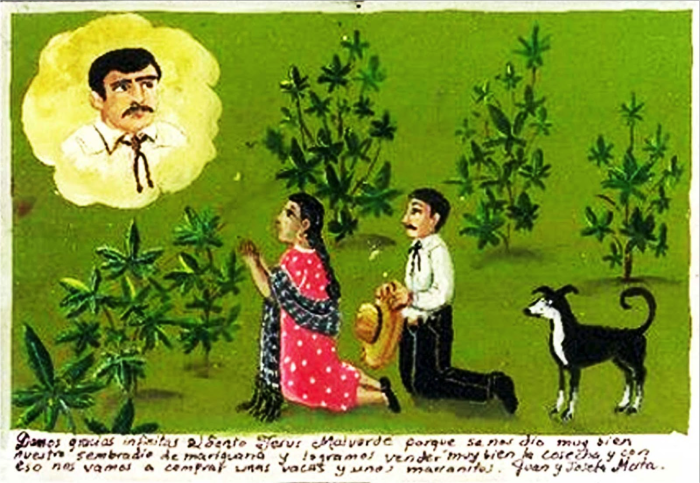 Malverde’s miracle created a great cult and eventually his sainthood as the “drug traffickers’ saint.” How did the deification of Jesús Malverde influence the normalization and acceptance of violent practices as a means to acquire capital? How is violence integrated into the concept of “mexicanidad”?